It has been a while since my last post and after some time working on the dwarfs I really wanted to get back to my dark elves, but this time wanted to try something different. 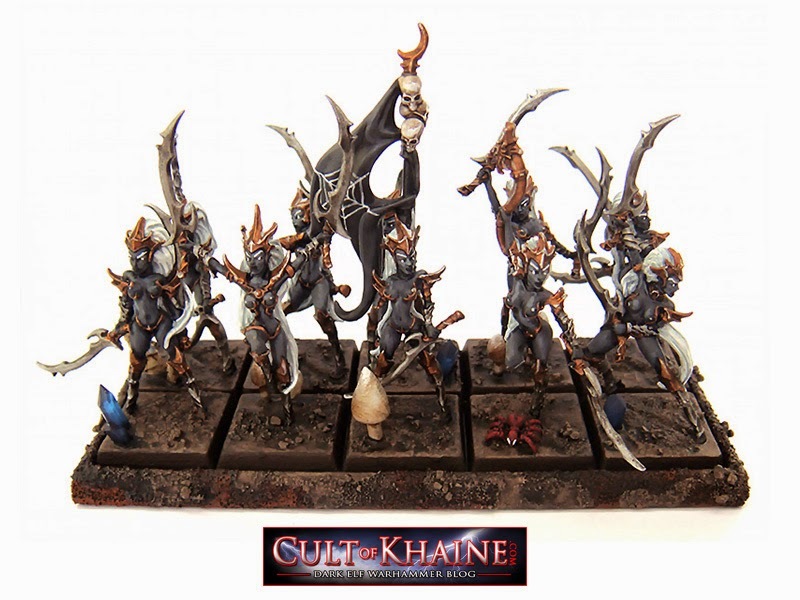 I have loved the Forgotten Realms books as a kid and decided that I would like to do a Drow themed Warhammer army. I have spent a bit of time looking around the web for some inspiration but have not been able to find a complete army - so thus my adventure begins. 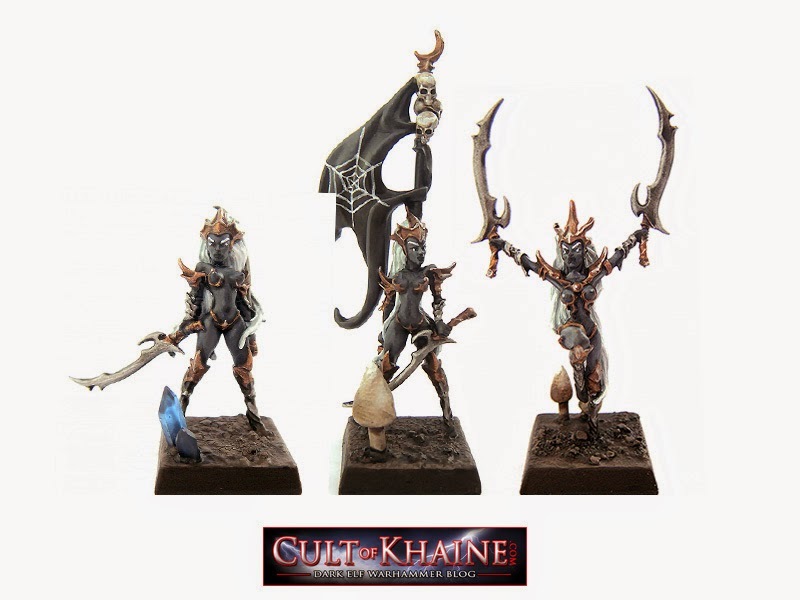 I have come up with a number of units I would like to see in my army, including plenty of spiders, driders etc but to get the ball rolling I thought I would start with this unit of Witch Elves or as I prefer to call them my Handmaidens of the Spider Queen. Stay tuned for more posts as I progress with this army! Hello. This drow theme is amazing. Can you tell me what models those are? I mean, these are figures from Games Workshop or what?